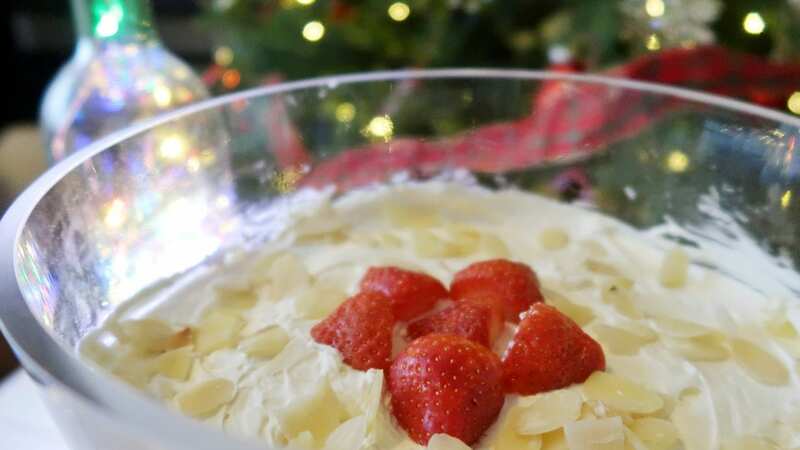 Low-Sugar Trifle – Christmas treats without the guilt. Christmas is traditionally a time for indulgence. If you can’t eat three desserts in one sitting at Christmas, then when can you, after all? Of course, there are many reasons why you might like to cut down on sugar, and eat more healthily, even at this time of year. 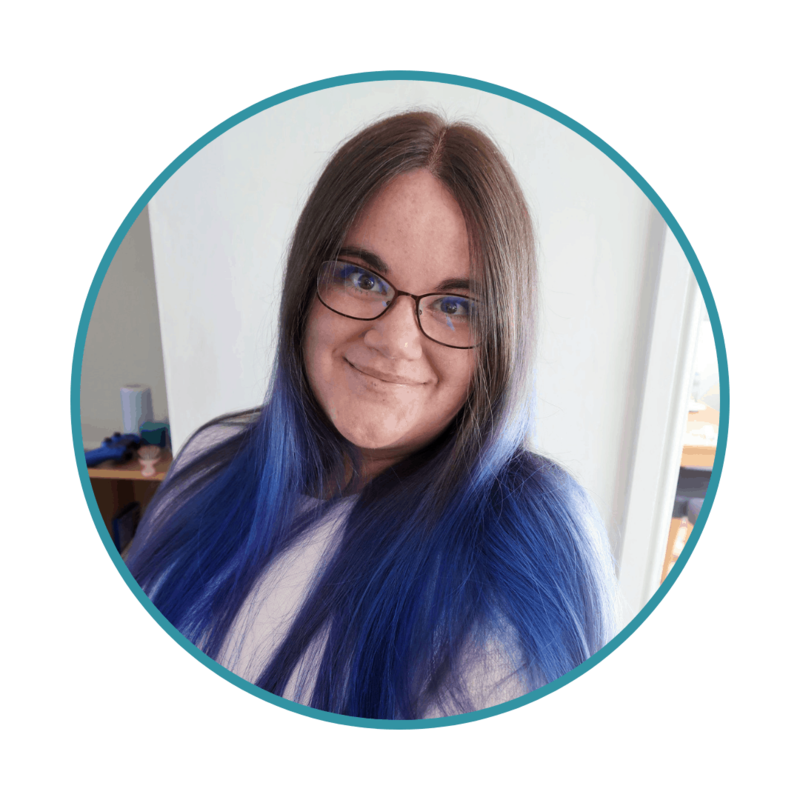 Since having children I have been in the high-risk group for diabetes, as I suffered from gestational diabetes during both pregnancies. In fact, during Christmas 2014, when I was pregnant with Littlest, I was on a very low sugar and low carbohydrate diet. I could not indulge in any of the usual Christmas treats and it was hard work. 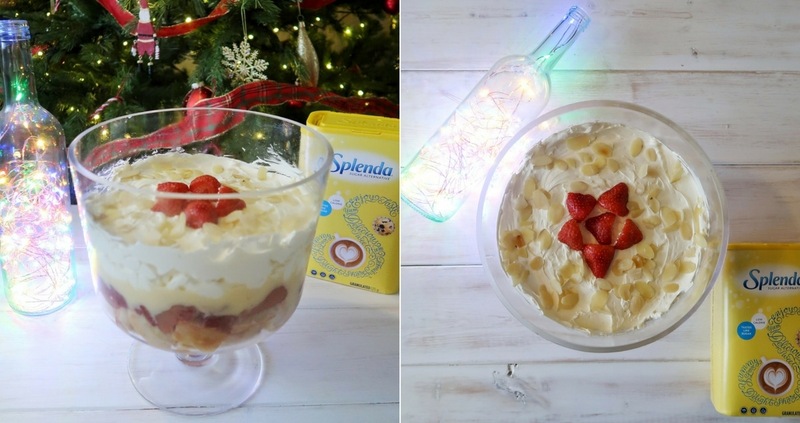 I wish I had known about the Splenda Sweet Life Campaign, and this low-sugar trifle recipe, back then! 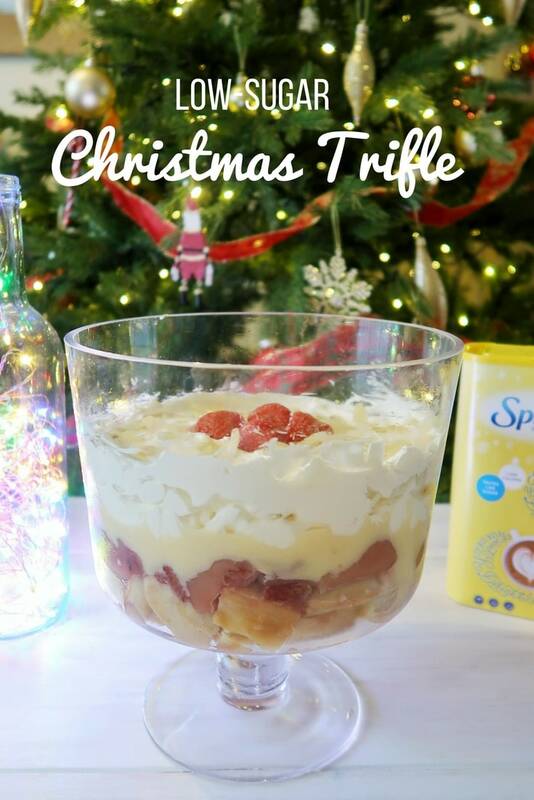 This trifle tastes just as good as the sugary alternatives, but you can enjoy it without the guilt that Christmas over-eating usually brings. 25ml of chosen alcohol. We used Chambord. Firstly, make the sponge. 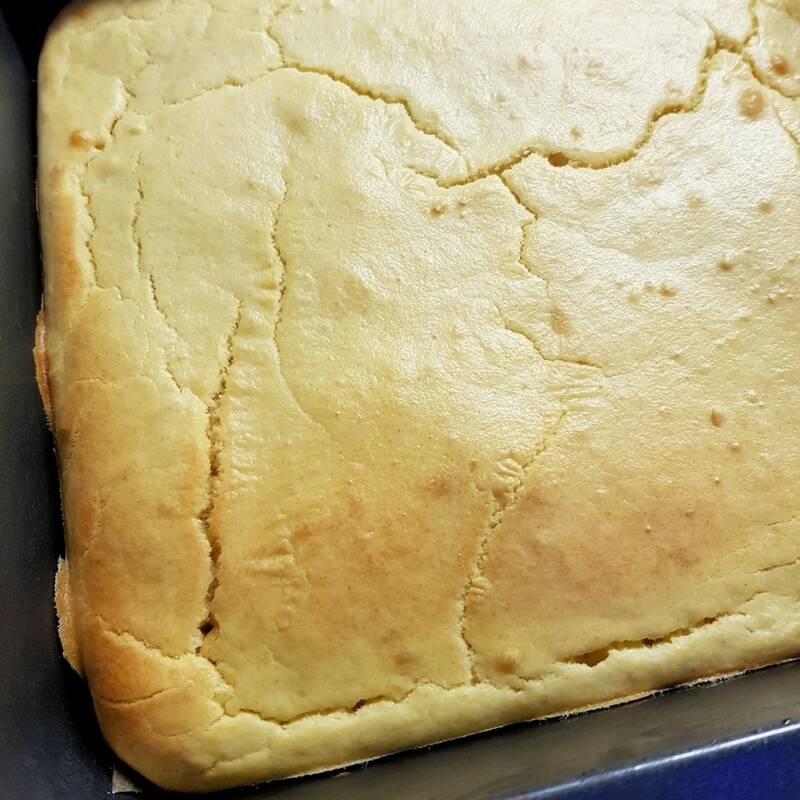 You’ll need to preheat the oven to 180°C and line a 22cm square tin with baking parchment. We’ll use the ‘all in one’ method, so place all the sponge ingredients in to a large bowl and mix thoroughly until everything has been incorporated into a smooth mixture. Pour into the prepared tin and bake for 15-20 minutes. Allow the sponge to cool to room temperature. 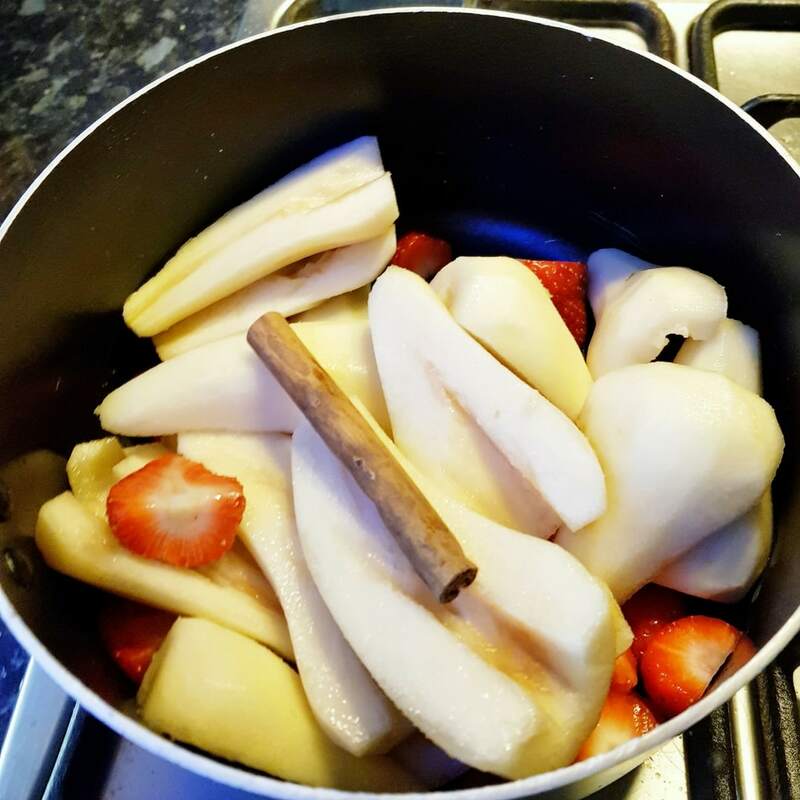 Next, place the pears and strawberries into a pan with the SPLENDA® Granulated and the cinnamon stick. Add a splash of water, cover and cook for around 25 minutes; until soft and a little jam-like. Leave to cool. To make the custard, place the milk and vanilla into a pan and bring to the boil. While the milk is heating, whisk together the yolks, SPLENDA® Granulated and cornflour, then pour the hot milk in while whisking constantly. Pour the mixture back into the pan and heat slowly while stirring. Bring it just up to the boil and set aside to cool. You are now ready to assemble your low-sugar trifle. This could either be one low-sugar trifle, or you could make 10 individual ones. Slice or break-up the sponge, and place it at the bottom of the dish or dishes. Sprinkle with a little of your chosen alcohol and allow this to soak in. Add a layer of the pear mixture and carefully pour on the custard, so you don’t disturb the layers too much. 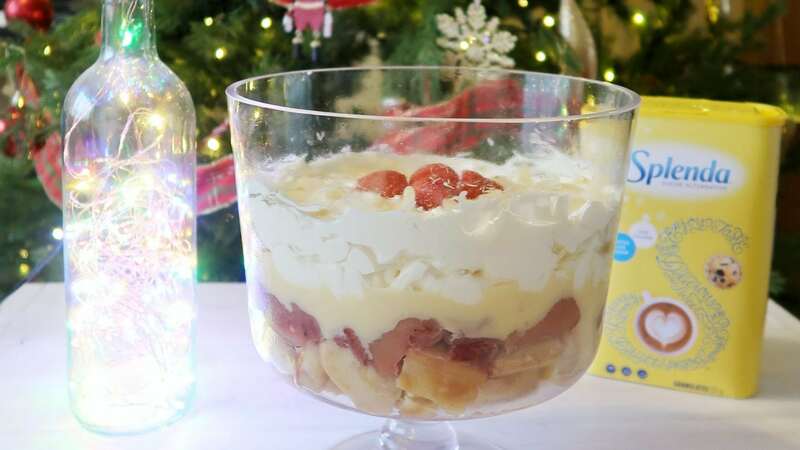 Finally, if you would like to top the trifle with cream, but are conscious to choose healthier options, you could top the trifle with 500 mls of whipped cream substitute, or low sugar aerosol cream. However, the dish is equally delicious without it. 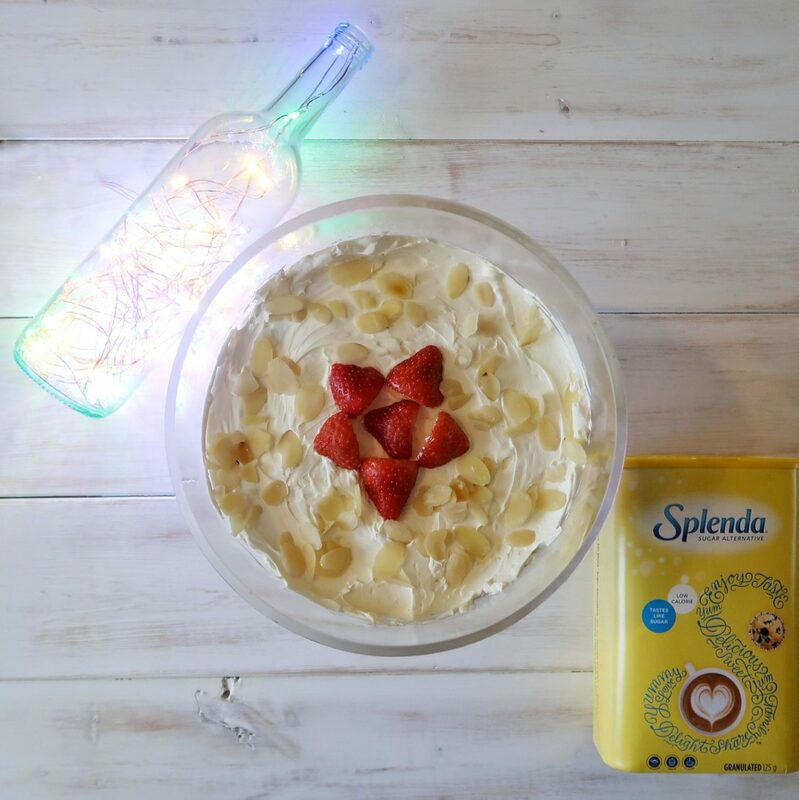 Splenda know that eating healthily over the Christmas period can be a real challenge – but they believe that you should not have to compromise on festivity, or taste. SPLENDA® is made with sucralose which means that, unlike other low-calorie sweeteners, it’s heat stable up to 232 °C so it can easily be used as a replacement for table sugar in most cakes and bakes. On average people gain between one and five lbs (0.5-2.5kg) over the Christmas period. With Helen Bond’s Helen Bond’s top tips for negotiating festive feasting you can ensure that you enjoy the festive season to the fullest, without piling on the pounds. With a few tricks like swapping to a low-calorie sweetener, like SPLENDA®, you can make a real difference to your calorie intake. If you drink four cups of tea a day with two teaspoons (8g) of sugar in each cup – that adds up to 128 kcals. Your sweet tea also tots up to nearly one 1kg bag of sugar over the 25 days of December and 3,200 kcals! You, and your Xmas shopping could be a whole lot lighter for a simple sweet swap! In addition, make sure you take advantage of seasonal vegetables. With the abundance of festive food, it can be easy to forget the basics of eating healthily and achieving the 5-a-day or more recommendation. Christmas vegetables are delicious and just as much a part of our festive traditions as trifles and alcohol. Hopefully, with these tips and a helping hand from Splenda, you can embrace the season of treats without compromising on flavour, or your health. Please note, this post is a paid collaboration with Splenda. If you enjoyed our low-sugar trifle recipe, check out our food section. adding pears and strawberries sounds like a fab substitution, I bet it tasted lovely. I’ve never heard of buttermilk cream substitute – is it lower fat than regular cream?